There are many Bochurim sitting at home after being denied from Yeshiva after Yeshiva due to their parent’s inability to cover tuition costs, and one Yeshiva wants to change that. In year’s past, people from all over the world would donate for scholarships at the Lubavitcher Yeshiva. Lubavitch now proudly has thousands of more institutions that need funding, but Chovevei Torah doesn’t want today’s bochurim to be left out. There are appeals for mikvehs, sifrei torah, building funds, renovation funds, annual dinners and more, but recently there are hardly any for yeshiva education scholarships. “Jack” gets a free seat at the local Chabad High Holiday Service, but “Mendy” is still not registered in Yeshiva! 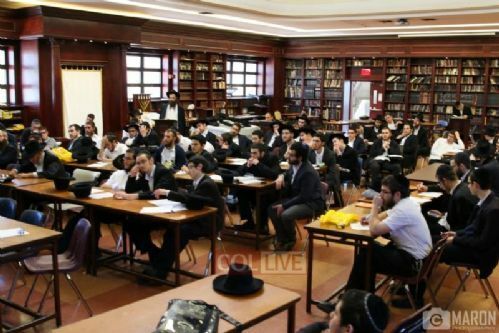 The crisis is real, and presently there are many Bochurim sitting at home after being denied from Yeshiva after Yeshiva due to their parent’s lack of ability to cover and commit to the tuition costs. Chovevei Torah is doing something about it. They are making it their goal to raise the funds necessary to enroll each of these Bochurim into Yeshiva before Rosh Hashana. Chovevei Torah is confident that people will respond to the tuition crisis in our own front yard. Every bochur should be welcomed in a yeshiva before he feels forced to choose another path in life.